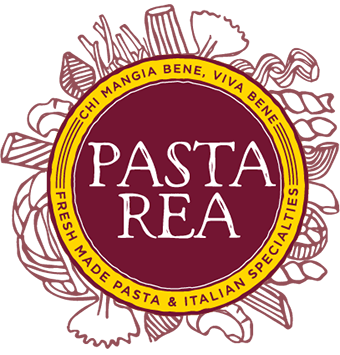 Pasta Rea Wholesale MenuPre-Order Your Pasta Rea Pickup! Hands down, the best italian (more specifically, pasta) I have ever had in AZ! I cannot believe how amazing my dinner was tonight… like, you guys NEED a restaurant…. there would be a line out of the door and be a constant hot spot that anyone who loves pasta MUST try and WILL frequent! We bought a large container of the Sunday Gravy Sauce & a pound of fresh Fiore pasta and it was to die for! Less than $30 and I fed a GOURMET meal to 4 adults WITH leftovers! I am just floored by the pure goodness that has come from a random buy at a Farmers Market! I absolutely cannot say enough great things about your pasta and sauces (we tried the lasagna and alfredo at the market too). You have an incredibly amazing talent for making heaven on a fork! The world NEEDS your food! I will be a customer FOR LIFE! Thank you for an amazing dinner, in my own home, that was that of a 5 star restaurant! See you next weekend at the Market! WE NOW HAVE GLUTEN FREE PASTA! Pre-order your Pasta Rea fresh pasta and sauce for pick-up at the Uptown Farmers Market, Old Town Scottsdale Market or at our facility.